We all love wood. Wood floors, decks, benches, railings, wood retaining walls, wood fences, etc. Wood is one of the most endearing of all the natural products in its versatility, adaptability and its aesthetic. Wood can be sealed, stained or painted and left to weather to a natural state. Wood can be sanded, beveled, or rough hewn depending on its usage and location. Wood does require maintenance and wood decks are expensive to maintain and replace. Wood has a few disadvantages such as termites and the relentless exposure to sun. Like so many products in today’s ever changing world, manufactures are always inventing new products to simulate wood. In the past, even stamped concrete has a stamp with a wood grain effect. And now porcelain tiles have a “wood like” look in a variety of colors. And most recently, I’ve recently been introduced to a new paver system of called “Barn Planks”. 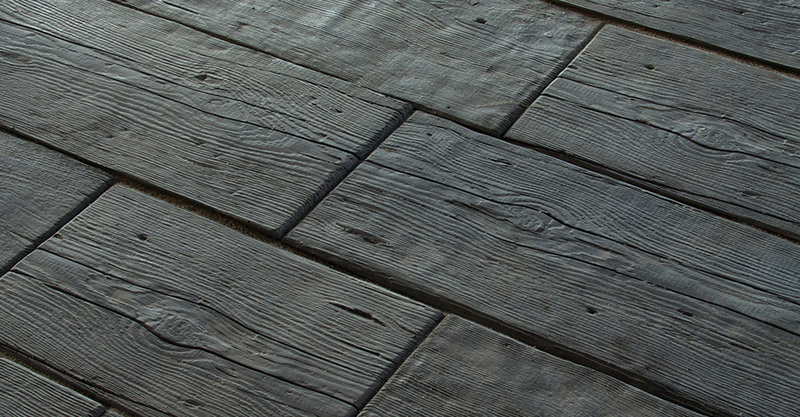 Silver Creek Stoneworks’ Woodstone collection now features three sizes of “planks” as pavers. Sizes range from 15 inch, 23 inch and 35 inch lengths with a 9.75 inch width. Currently it is only offered in an Ash color which is dark grey/brown. I’m excited about this new application. Interlocking pavers are a great way to go, but the choices have been limited up to now. So I can’t wait to create a new patio using the Barn Planks from Silver Creek. Contact Letz Design for more information and learn more about this exciting new product for hardscape materials in San Diego.